Hello Kitty is having a midlife crisis. Sanrio Co., the owner of the 39-year-old white cat character with no mouth and a red bow on her ear, has made a fortune licensing its brand to other companies, letting them bear the risks of making and selling the goods. Now it is shifting strategy to sell more of its own merchandise, prompting the biggest stock drop in 19 years and wiping almost $450 million off its market value Thursday. Sanrio plunged 16 percent Thursday in Tokyo after it made a presentation announcing plans to expand its “core business,” in retail stores, including advertising, greeting cards and expansion of sales channels. The shift represents a move away from the licensing strategy that more than doubled operating margin, which averaged 27 percent over the past five quarters, according to data compiled by Bloomberg. The shares rose Friday by more than 2 percent in early trading in Tokyo, while the benchmark Topix index gained 0.8 percent. 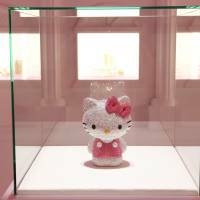 Founder Shintaro Tsuji’s Sanrio reduced its reliance on marketing Hello Kitty goods as licensing revenue increased. “The changes are part of our effort to supplement the licensing business, which is our profit driver,” Sanrio spokesman Hideo Yamaguchi said Thursday. The shift raised concerns that costs would rise as the company moves beyond licensing, Sho Kawano and Jingyuan Liu, analysts at Goldman Sachs Group Inc., wrote in a note released Wednesday. “We see little prospect of a rapid turnaround given that this is a transition period,” Kawano and Liu said. The death last year of Kunihiko Tsuji, the founder’s son and the company’s vice president, left overseas operations under the sole control of Vice Chairman Ray Hatoyama, they said. They lowered their 12-month target price from ¥3,800 to ¥3,200, also citing sluggish U.S. sales as a negative factor. Sanrio surged 61 percent last year, after dropping 31 percent in 2012 and more than doubling in the previous year. The shares closed at ¥2,627 Friday. Sales of Sanrio, also the creator of the Little Twin Stars and My Melody, will probably rise 3.4 percent to ¥79.6 billion ($782 million) this fiscal year, compared with 3.7 percent growth last year, the company said May 15. Operating profit will increase 4.7 percent to ¥22 billion, according to company forecasts. Investors could be concerned that the company’s profit targets may no longer be achievable, Mia Nagasaka, an analyst at Morgan Stanley MUFG Securities Co., wrote in a note to clients, after the company held a briefing on Wednesday. Sanrio has become too dependent on its flagship character, said Amir Anvarzadeh, manager of Japanese equity sales in Singapore at BGC Partners Inc. 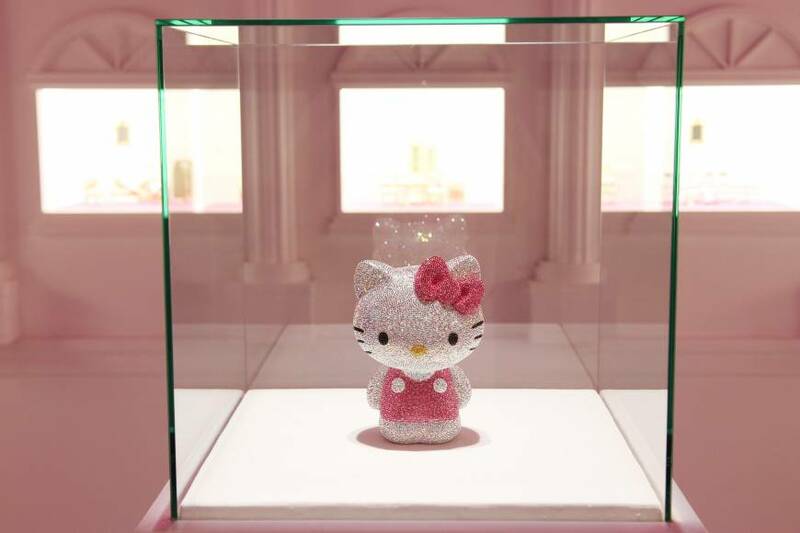 Within Japan, Hello Kitty’s star is still rising. The iconic cat was the country’s third-highest grossing character last year, up from No. 4 in the previous year, according to the Character Databank, a marketing consulting company. Pop singer Lady Gaga and reality television performer Paris Hilton drew attention to the brand by participating in Hello Kitty’s 35th birthday celebrations in 2009. Singer Avril Lavigne more recently released a music video called Hello Kitty.